Two-time Irish record holder Ray Flynn is to be honoured with the Hall of Fame award at this year’s Irish Life Health National Athletics Awards on Wednesday 6th December 2017. Flynn ran an impressive 89 sub 4 minute miles throughout his career and he is the current Irish record holder for the 1500m & mile. Flynn enjoyed a brilliant athletics career which included representing Ireland at two Olympic Games – 1980 & 1984. He was a finalist in the 5000m at the 1984 Olympics in LA. 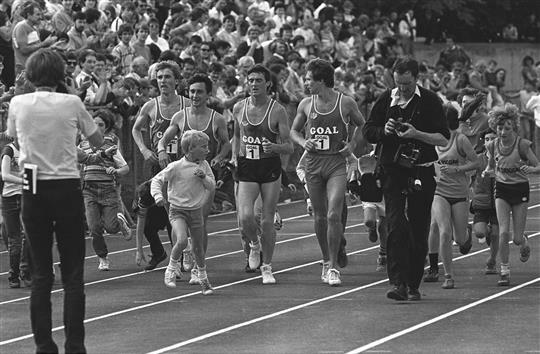 Flynn was also part of the quartet that set the 4 x 1 mile world record in Dublin in 1985 alongside previous Hall of Fame recipients Marcus O’Sullivan, Eamonn Coughlan & Frank O’Mara. Ray resides in Northeast Tennessee with his wife and children, where he is the CEO of Flynn Sports Management. Flynn is also the Meet Director for the Millrose Games in New York City, the oldest indoor meet in North America. Other awards that will be presented on the day include Services to Coaching, Lifetime Services to Athletics, Official of the Year, Athlete of the Year and many more. For tickets to this year’s Irish Life Health National Athletics click HERE.